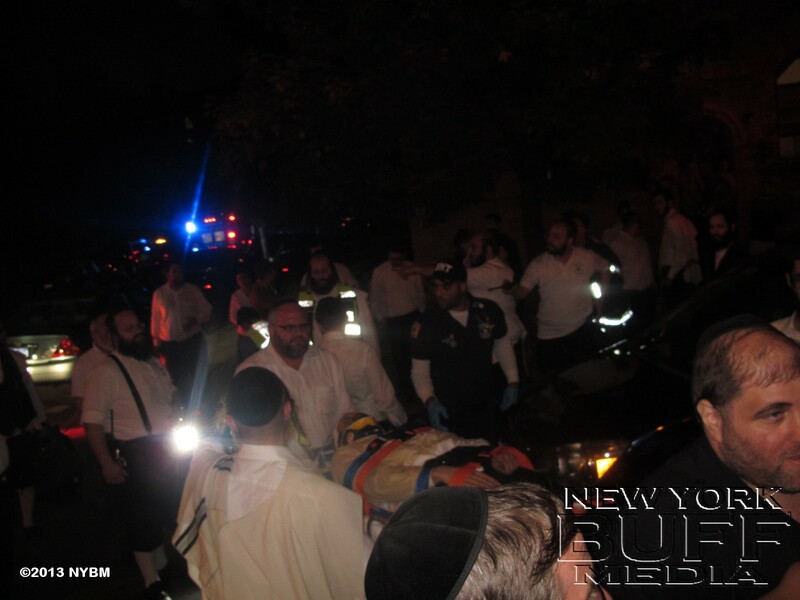 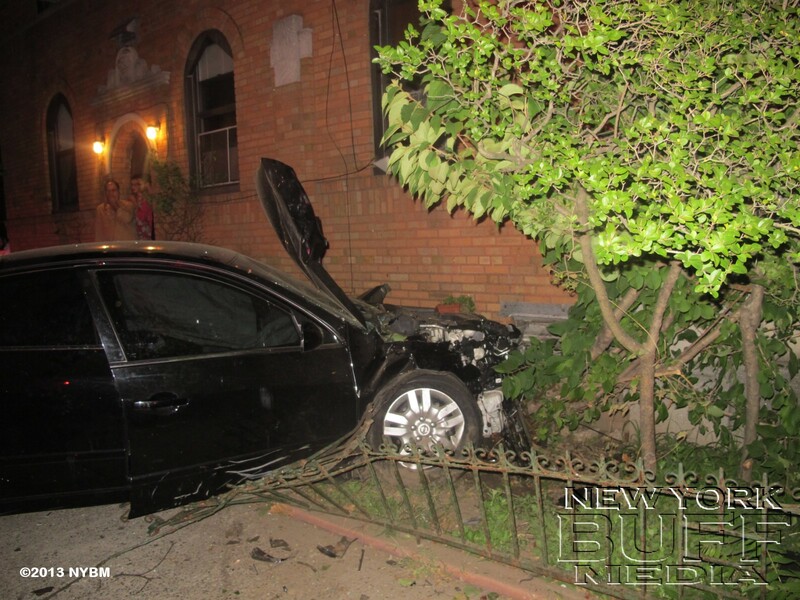 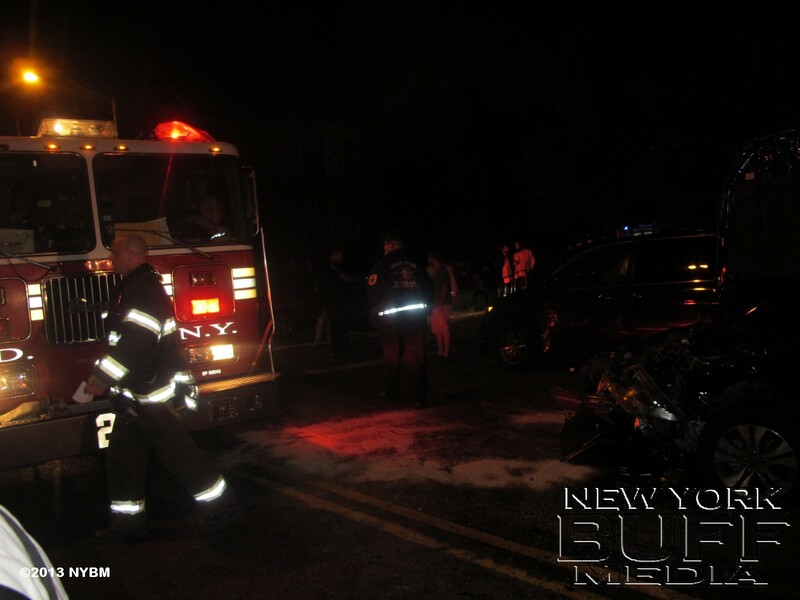 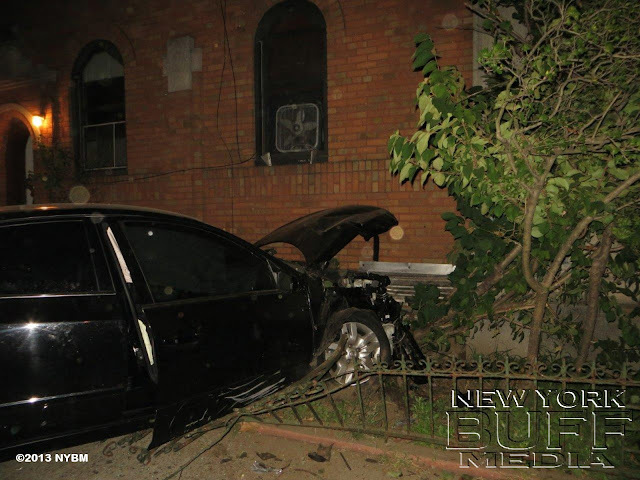 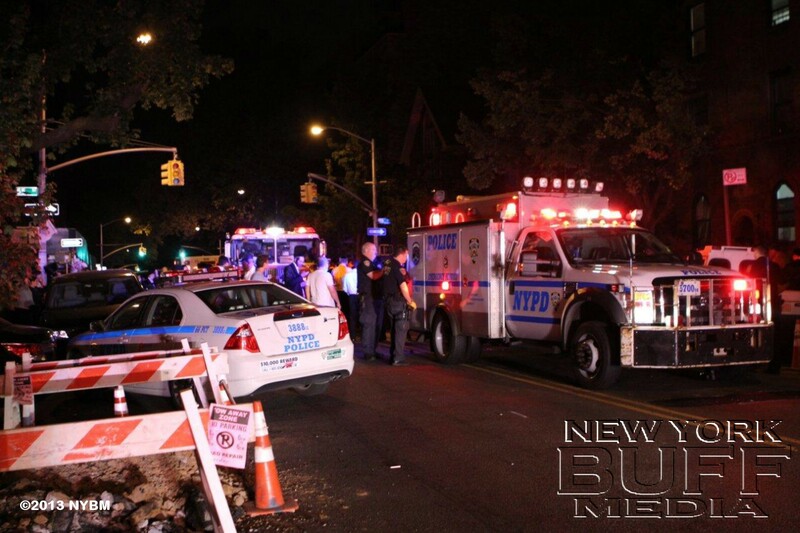 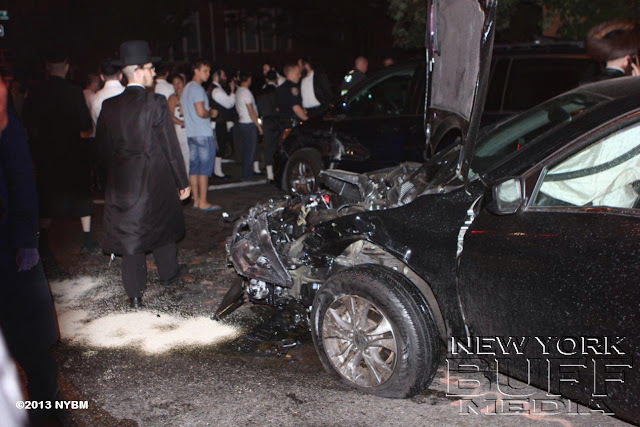 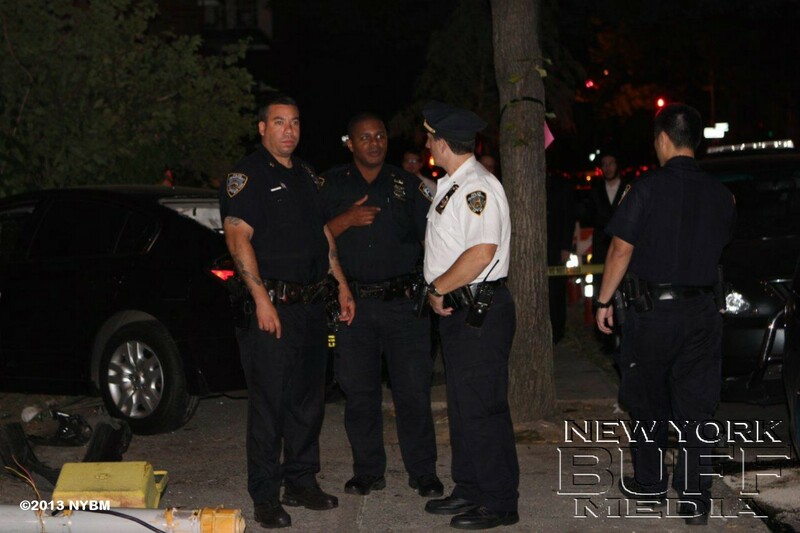 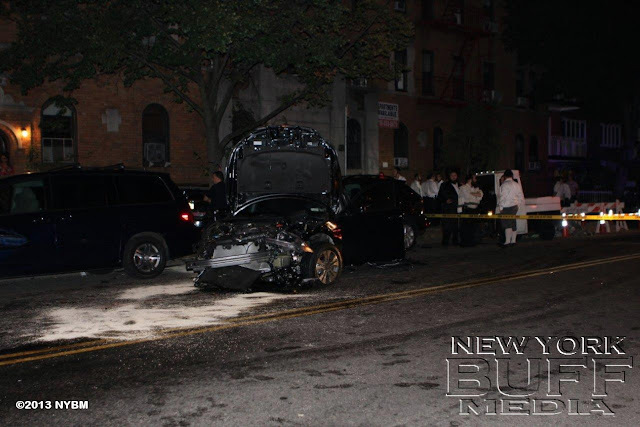 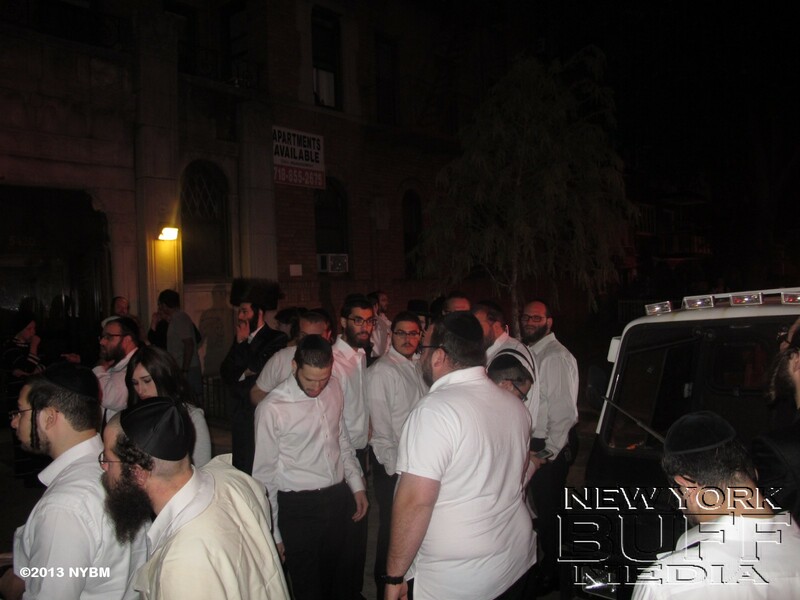 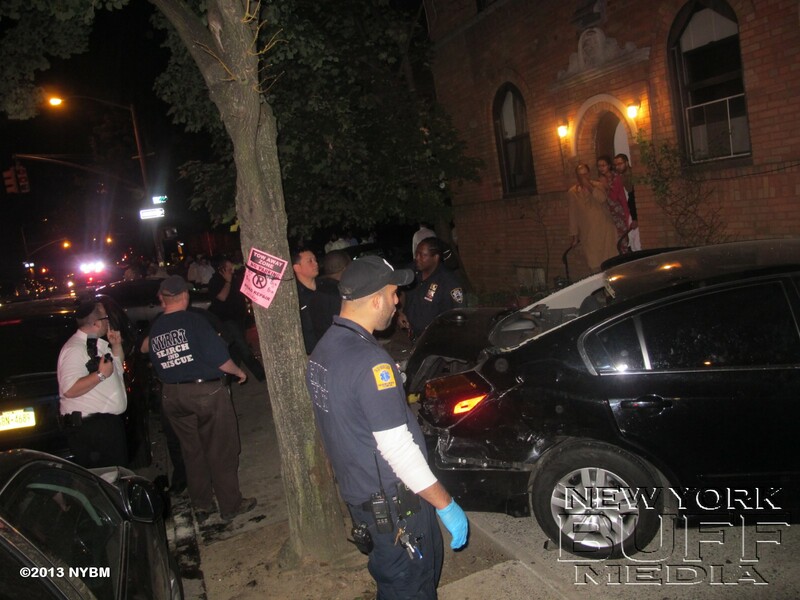 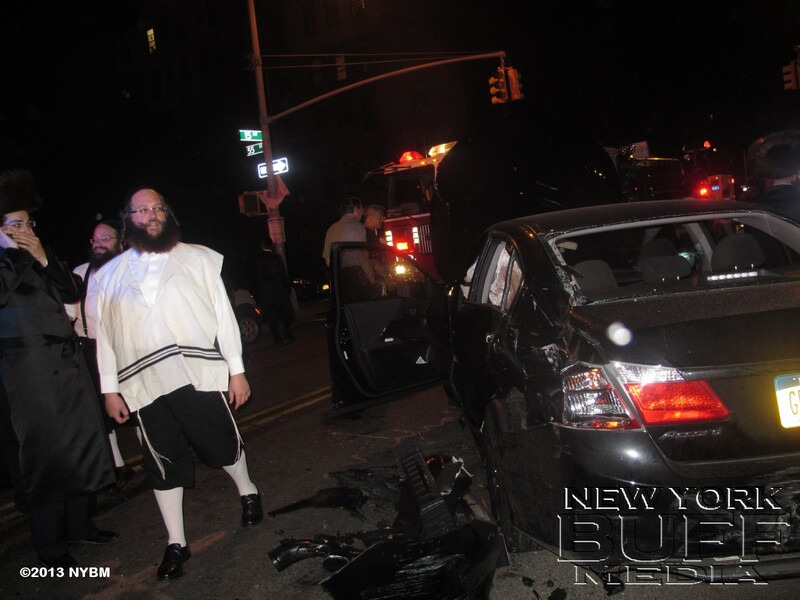 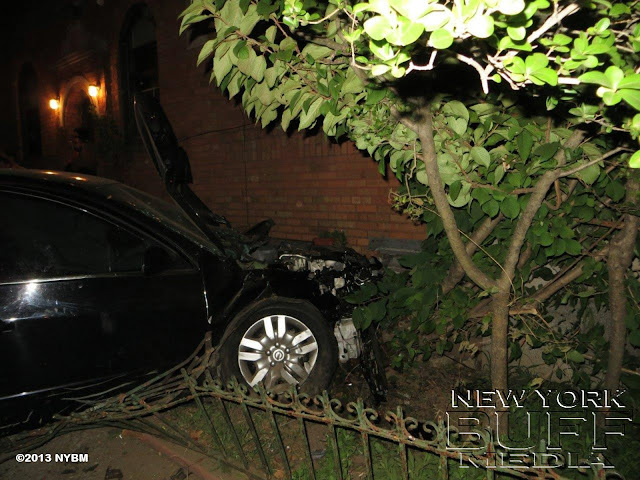 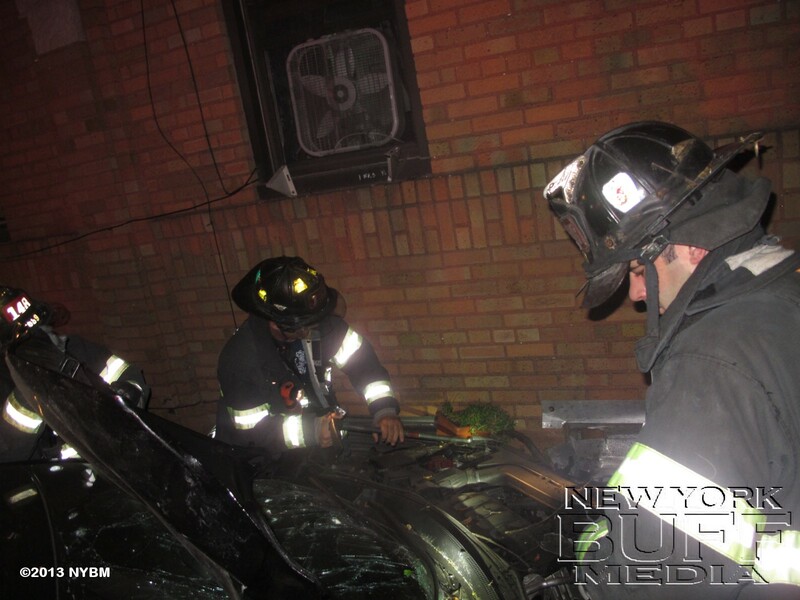 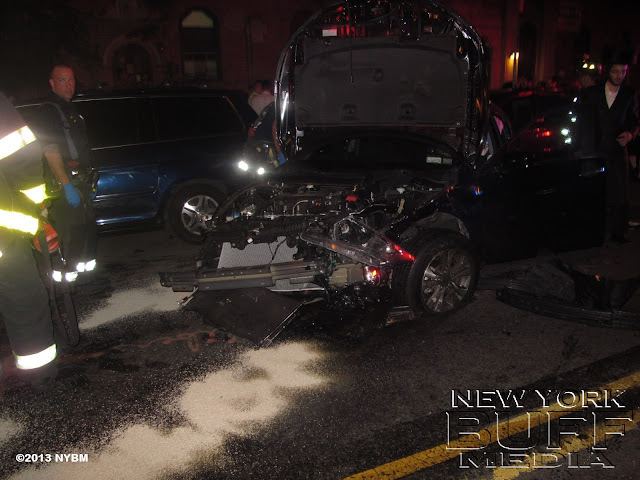 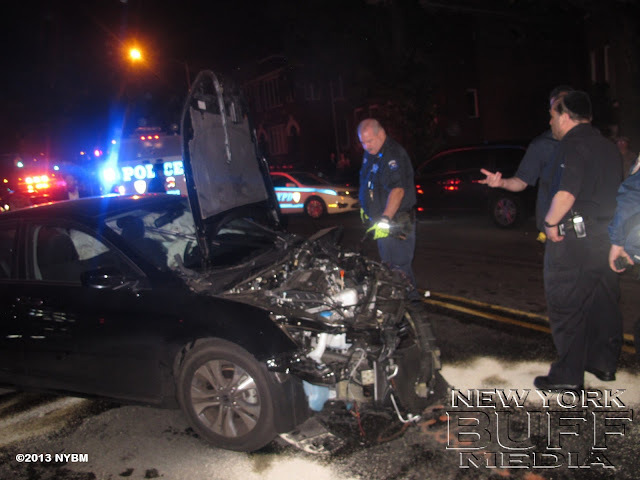 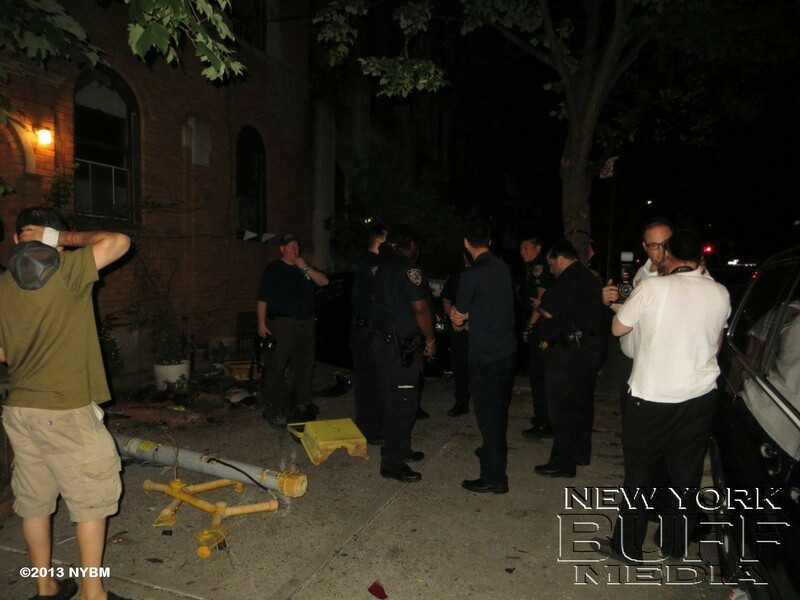 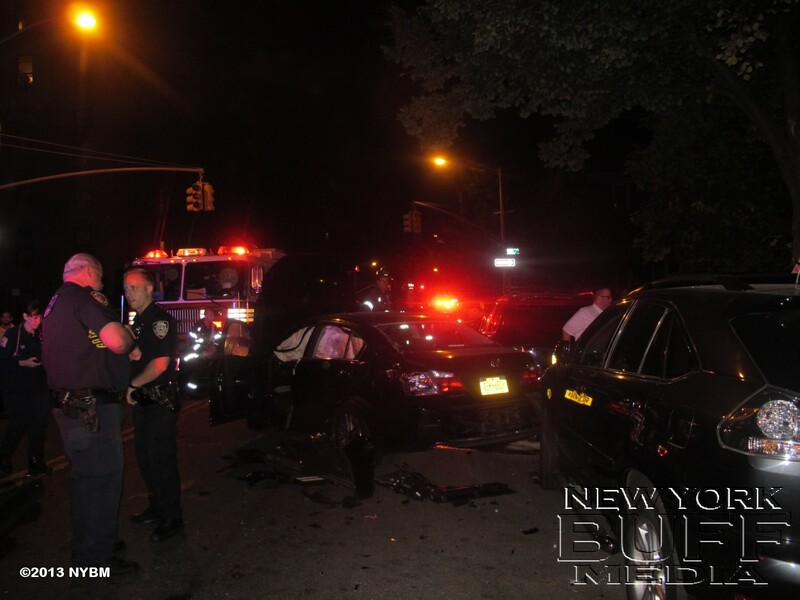 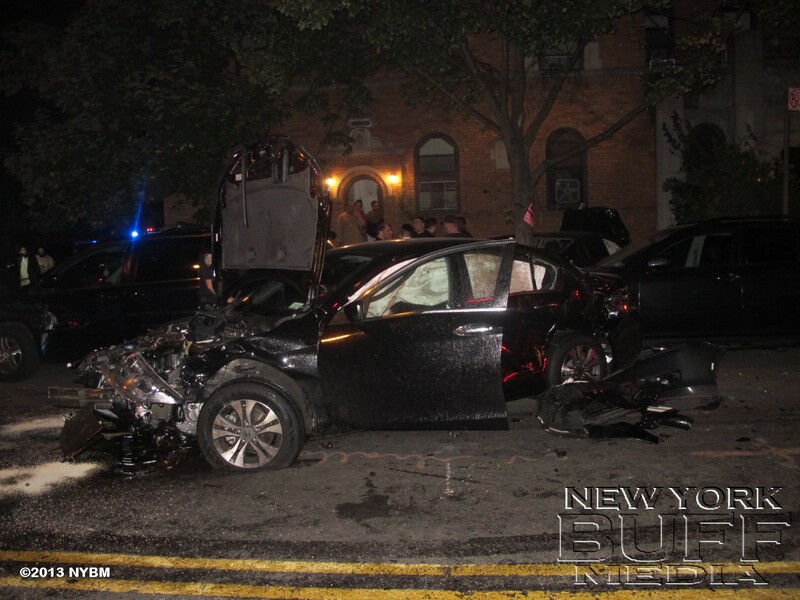 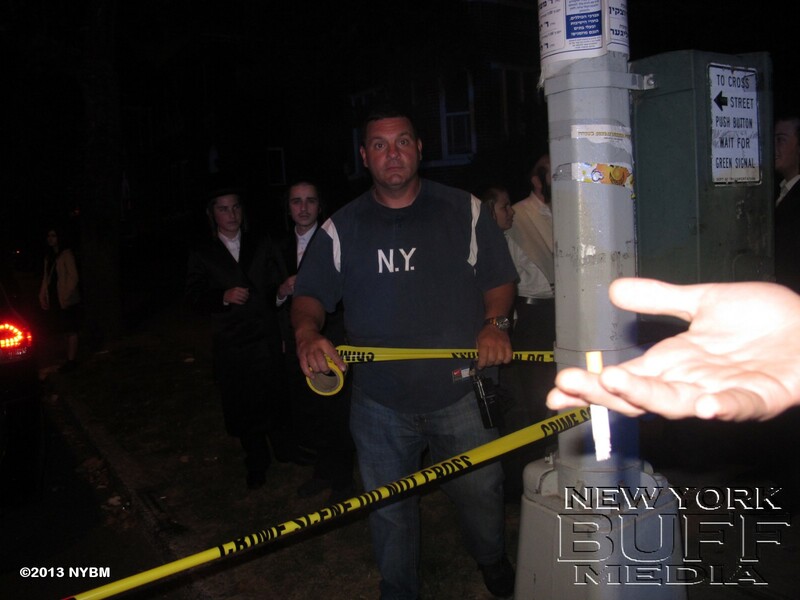 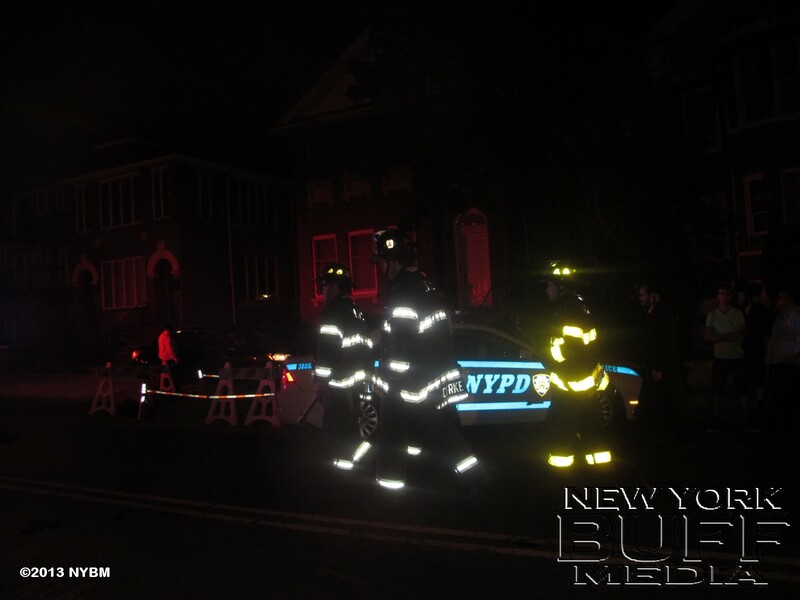 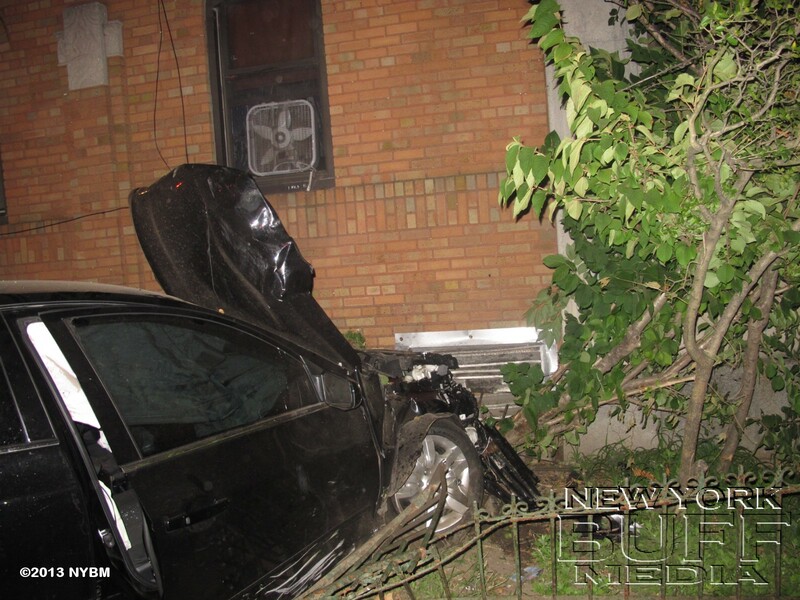 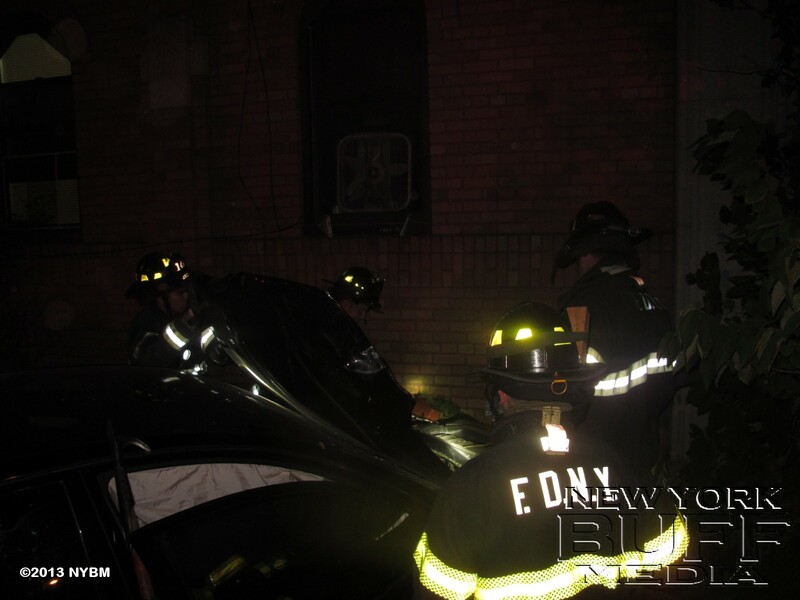 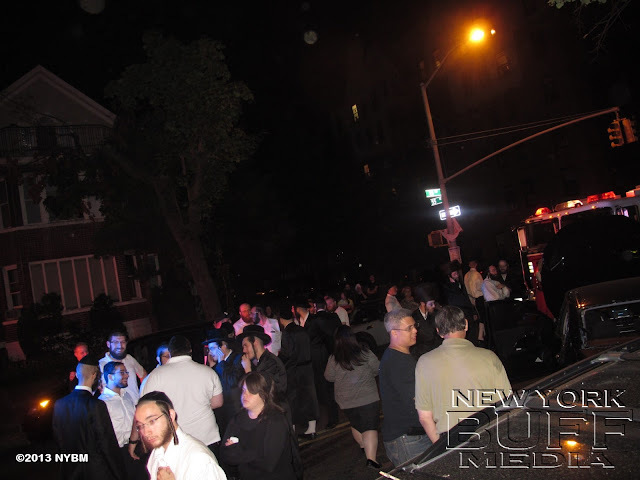 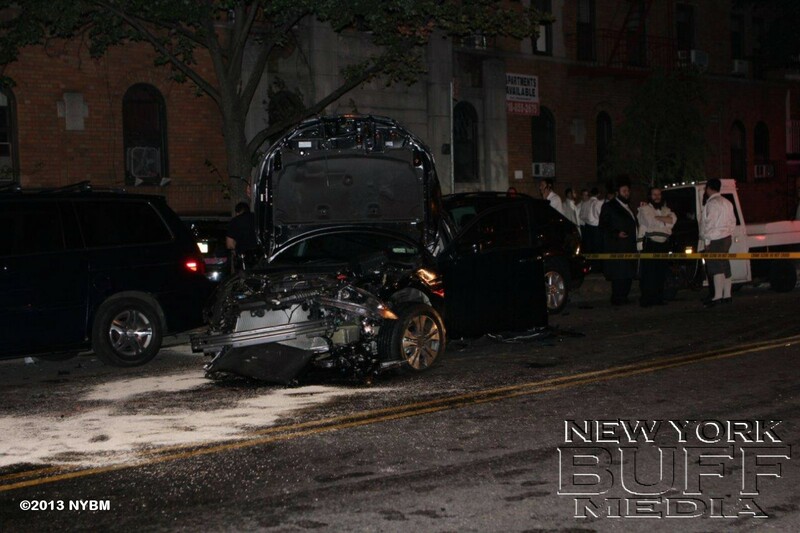 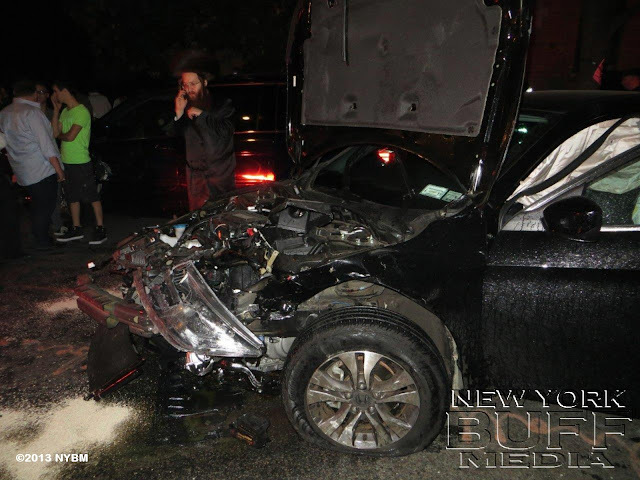 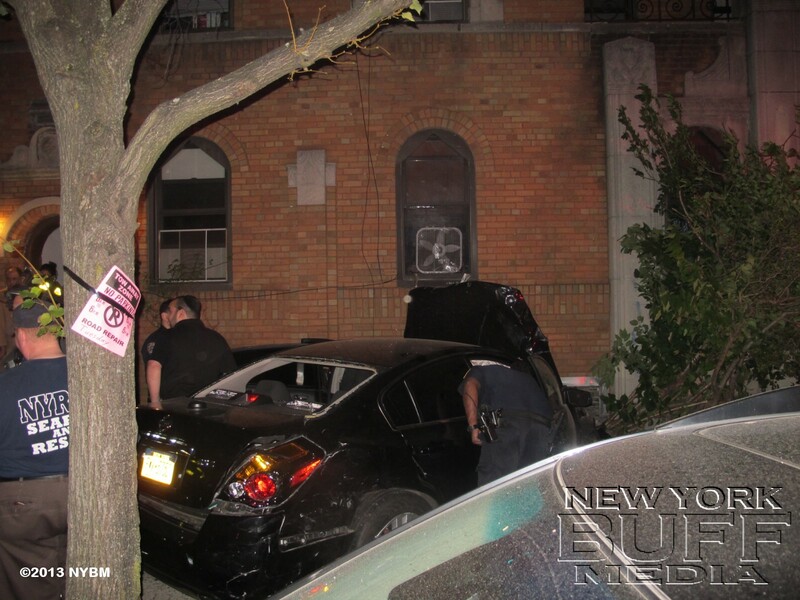 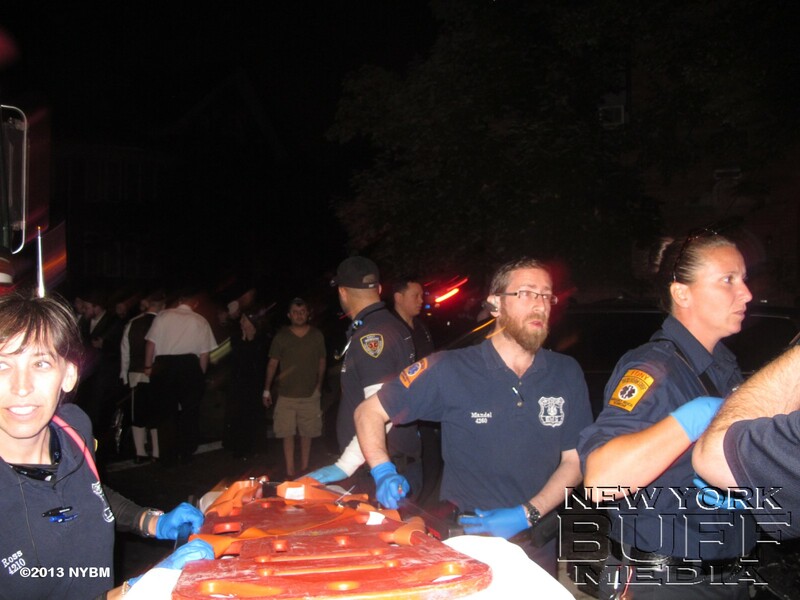 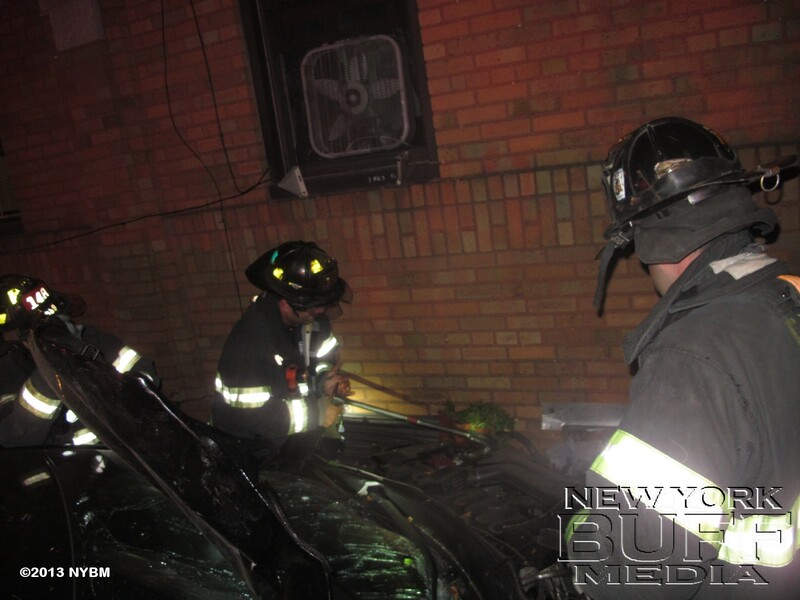 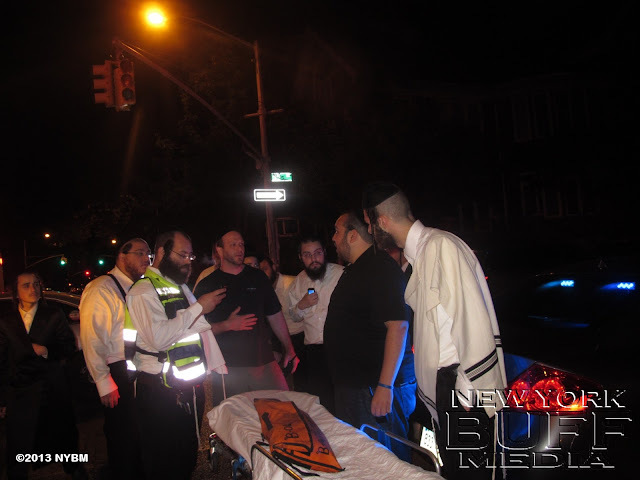 Boro Park - A violent motor vehicle accident has sent two people to the hospital on Saturday night. 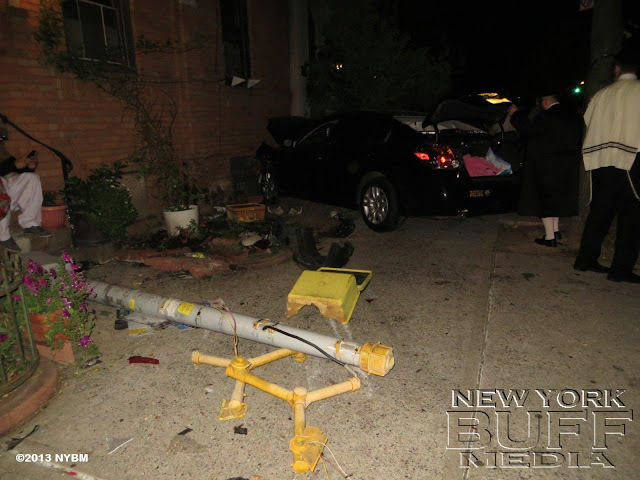 The MVA occurred at about 2:45AM when a car that was rushing down 15th avenue at 55th Street hit another car which took down a light-pole and slammed into a nearby building. 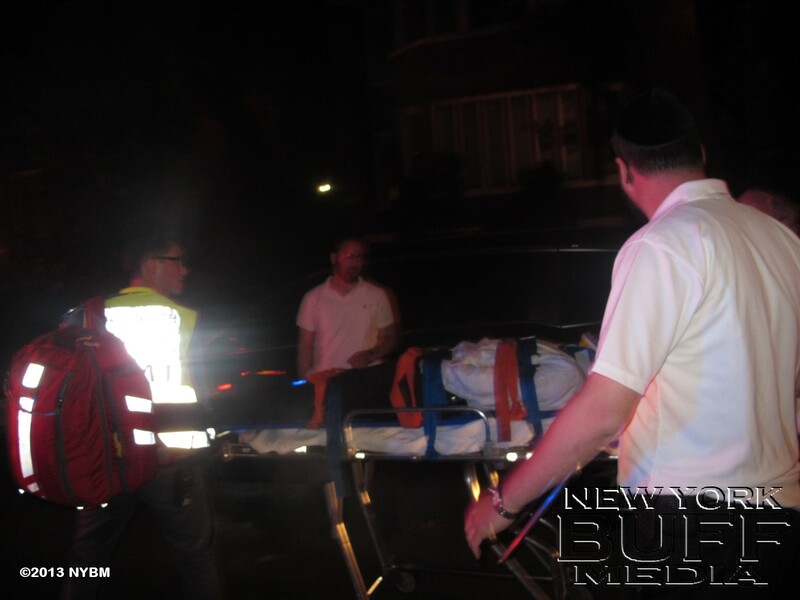 Hatzolah EMS treated 1 victim and transported him to a Lutheren hospital, the second victim went him self to hospital. 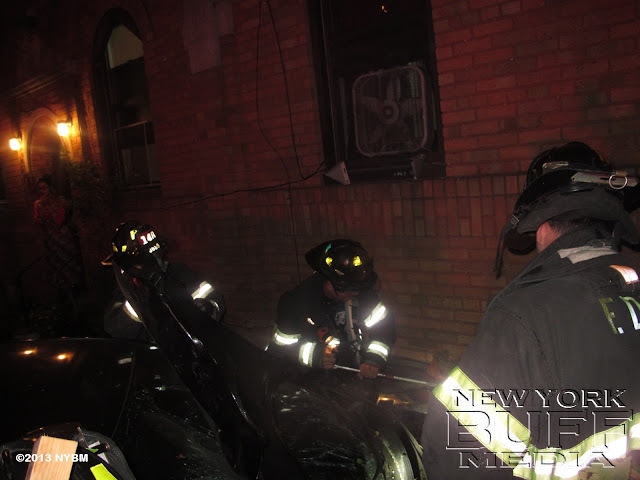 FDNY and NYPD ESU were also on scene to help extricate the victim, and to pull out the car that slammed into the building.